Born in Madrid, Spain, Carlos Printe emigrated to the US as a teenager where he studied and launched his own software company that still thrives today. In 2008, he decided to become an artist and studied for four years with local artist Al Razza. In 2012 he began painting full-time in his own studio. "Computers were my passion for many years, and I still love technology. But my passion now is art and I want to dedicate the rest of my life to painting. 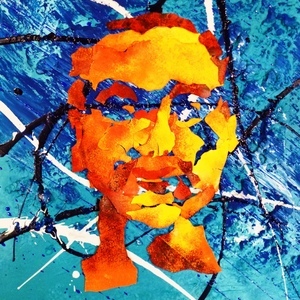 " Carlos is a mixed media artist and many of his paintings, with their embedded computer parts, are almost like sculptures. He is constantly exploring new techniques which translates into an eclectic and modern portfolio.